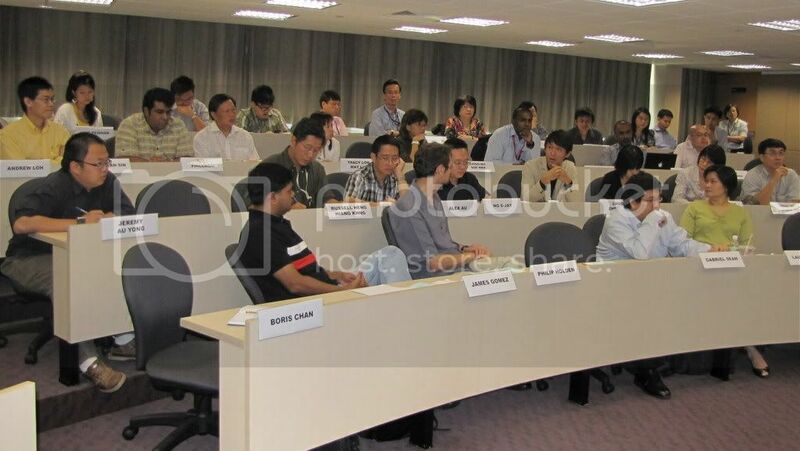 “People with opinions have always expressed their thoughts, but now, with the new media, they can bring it to a bigger audience,” said Ambassador Ong Keng Yong, chair of the seminar on the political blogosphere in Singapore, held at the Institute of Policy Studies (IPS). 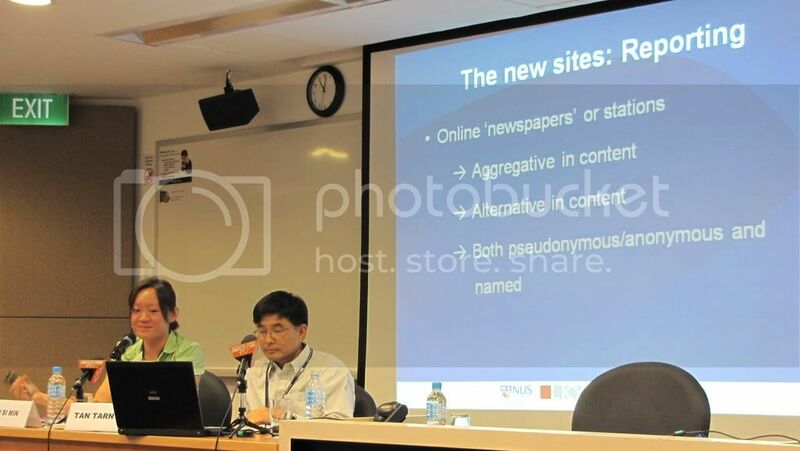 Titled, “Getting Their Hands Dirty: Recent Developments in Singapore’s Political Blogosphere”, it was held at the National University of Singapore’s Bukit Timah Campus on March 4. Tan Tarn How, Senior Research Fellow and Research Assistant Tan Simin presented their paper on trends observed in the blogosphere. 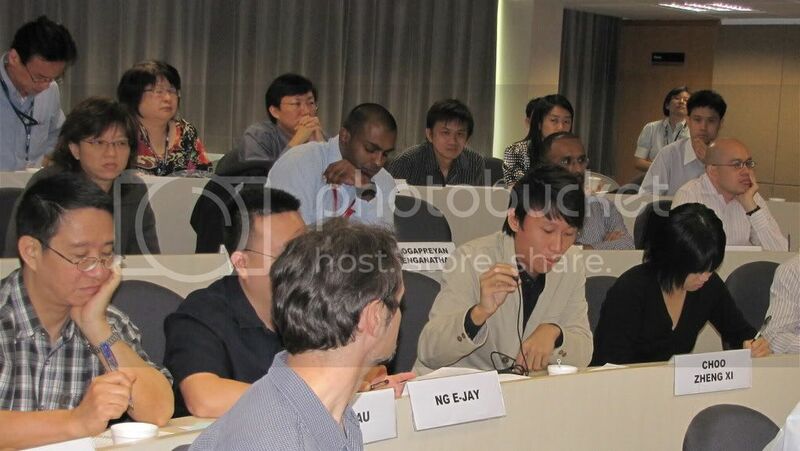 The audience of 40 included a mix of online practitioners and offline policy makers and analysts. Among the more notable audience from the “offline world” was K Bhavani, Director of Public Communications, Ministry of Information, Communications and the Arts (Mica). Also in attendance were Straits Times political desk editor Chua Lee Hoong, Terence Chong from the Regional Social and Cultural Studies Institute of Southeast Asian Studies and academics such as Dr Cherian George and Dr James Gomez. 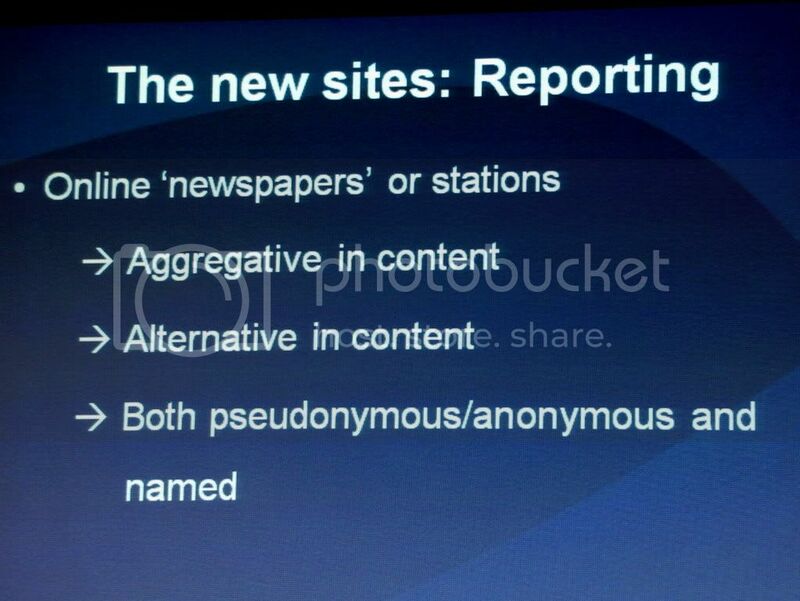 In his presentation, Tan traced the background of new media, dividing its history into three significant sections. The small number of blogs during the new media’s humble beginnings in the 1990s reflected technical difficulties. In 2005, the appearance of YouTube and integration of mobile phone technology with the Internet represented milestones that transformed the blogging landscape. 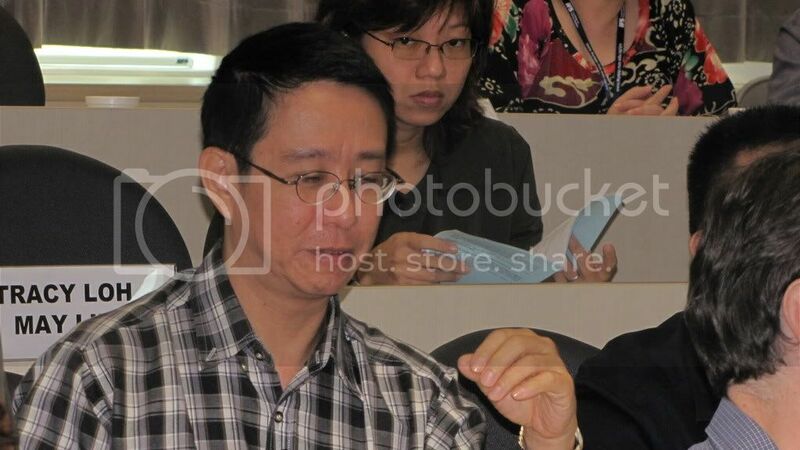 Mr Tan remarked that “there was an explosion within two years” where the element of news reporting was incorporated into online blogs during the 2006 General Election. The latest phase of development is now seeing the rise of blogs such as The Enquirer, Singapore Enquirer, Wayang Party and The Online Citizen as examples, which he termed “online newspapers”, working to create original content online. The generation of new facts and original news was “a quanlitative leap” from what used to be commentaries on news by the mainstream media. This came in the form of on-the-ground, heartland interviews, as well as the progress made in journalistic habits such as corroborating with third parties or seeking secondary sources of information. The researchers noted three main features of this development: firstly, the emergence of more frequent reporting, in the form of original event coverage, angles and perspectives; secondly, a sustained engagement with issues and concerns; and finally, the transition from online commentary to offline activism that was characterized as breaching the “online-offline firewall”. Highlighting the interplay between activism and reporting, the researches cited TOC’s Jurong GRC by-election survey and public transport protest, as well as the Wayang Party Club’s investigation of MP Charles Chong’s “lesser mortals” comment as examples of where new media directly engaged in the offline political agenda. Several limitations of the local political blogosphere were also identifed. Most crucially, the researchers felt that the online-offline firewall, while somewhat alleviated by offline engagement and activism, still poses a daunting task to blogs in their effort to publicise their portals and reach out to more Singaporeans. The existence of this “disposessed political voice outside the political sphere” was highlighted by Ms Tan in her discusion of the “echo chamber effect”, where similar opinions and mindsets are often seen bouncing off each other on the Internet, without expanding to engage people with different perspectives in the discourse. 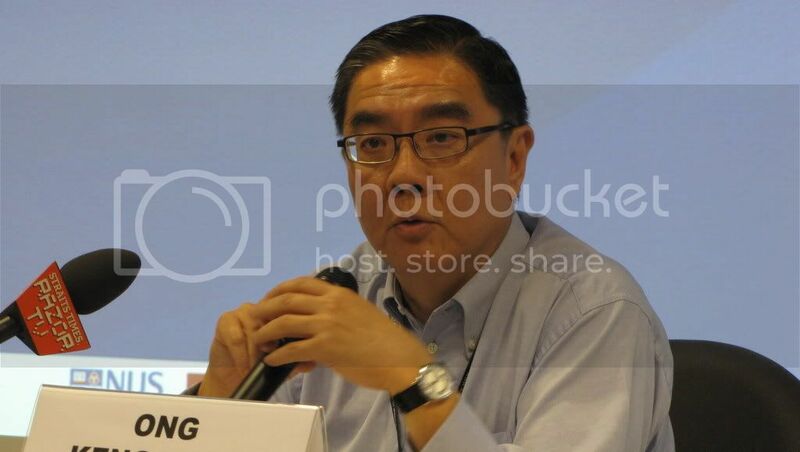 Although Mr Tan noted that the quality of some of TOC’s news reports “sometimes reads better than the Straits Times”, he highlighted that the lack of professionalism in the blogosphere would inhibit its growth. By this he meant that online news reporting lacked full time staffing, unlike the mainstream media. The fact that most bloggers maintained their sites as part-time occupations thus means that a critical mass is lacking on the part of site administrators and writers. During the Question and Answer session, discussion started off with the political blogosphere’s professionalism and the survivability of online media. Questioning whether activism and news reporting were mutually exclusive, Dr Cherian George commented on the reportorial tradition in Singapore, in relation to how news media outlets have traditionally developed from activist press. The session briefly digressed into an exchange about government regulation and the inadequacies of legislation in the online political blogosphere, brought on by James Gomez’s suggestion for “more discussion… on regulation and how crimes may be committed under ignorance, [as] online citizens do not understand regulation” and the possibility of the govenrment criminalising “online civil disobedience”. Ng E Jay commented that “the government will only take legal action against online activity when it deems such activity as a threat.” Choo further added that the legal ambiguities deterred people from active participation, preventing the online media from taking on a nation-building role by providing alternative strands of discourse and empowerment through participation. The discussion soon turned back to the nature of the development of socio-political discourse on the Internet. Andrew Loh remarked on the tone of discourse over the years becoming more civil despite the anti-establishment nature of the content, and the contrast this provided to the more vitriolic and uncivil comments posted in response to articles or commentaries. Tan Tarn How further spoke about the development of online content, from a form that used to be “intellectual, even rarefied”, to the present utilisation of online space in a way that engages with issues while critically questioning the government’s handling of local issues. Tan Tarn How was more upbeat and described his research as a “work in progress, with ideas being thrown up”, and more “descriptive than normative” in its characterisation of political blogs here. This is in contrast to government-endorsed sites like REACH which provided “no robust and proper discussion about issues”, with forums that were “less serious and lacked depth”. He went on to express the opinion that the government is now looking more seriously at the liberalisation of new media, with the progress made in changes to the Films Act. Similarly, Ng E Jay found the research and accounts of the Internet’s evolution to be of a “good quality”, but had a problem with what he felt to be the “arbitrary and vague distinction between activism and reporting”. 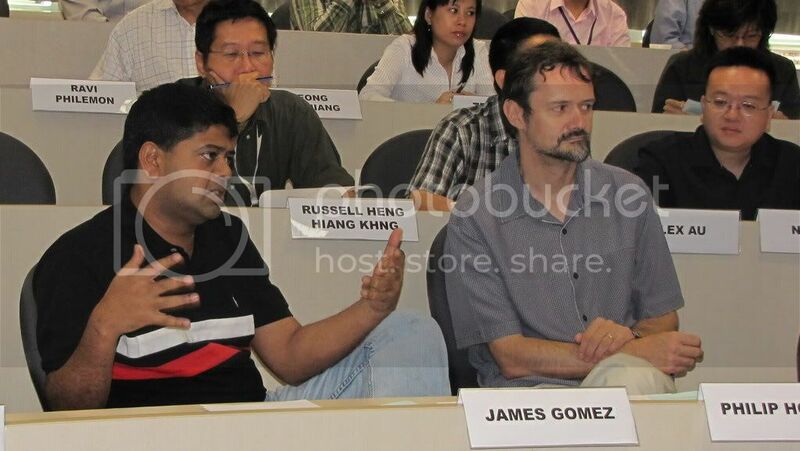 “I started as a commentator and communicated through my blog, making the transition from online to offline.” Still, he applauded the measures used so far to improve readership of blogs and widen engagement – going offline, publishing pamphlets, and holding events at Speaker’s Corner in Hong Lim Park – and raised the possibility of publishing a newsletter in future. In his closing remarks, Ambassador Ong, who is also Director of IPS, raised questions on how the new media impacts the old (mainstream) media, how online expression brings about change in the approach of the government, and the impact of political, social and personal activism on society as a whole. Read also: Getting their hands dirty: an allusion or elusion? by Ravi Philemon.